Is It Ever Appropriate to Give or Accept a Gift in Therapy? For better or for worse, the holiday season is associated with the giving and receiving of gifts. Gifts are exchanged between those we are close with, including family members and friends. Gifts are exchanged between acquaintances, such as coworkers or local service providers (think mail carrier or hairdresser). Gifts may also be given or received among those with which we have no relationship, or anonymously (adopting a family, donating time or money to a charity). With so many gifts being passed around in so many contexts, it’s an opportune time to talk about some of the potential issues one must be mindful of when considering gifting within the therapeutic relationship—be it during the holiday season or any other time of year. It may seem only natural to exchange gifts in therapy. After all, in therapy, a close bond may be established, great care and concern are typically expressed, and when the rapport is strong, there may be a genuine like between the parties. The giving of gifts may also be thought of as a means to show appreciation or honor a special stage in therapy. But not so fast. Although gifts may seem appropriate between a person in therapy and their therapist, receiving and giving gifts can be a source of stress for the therapeutic relationship. It can hurt therapeutic progress, and it can have serious consequences. Professional ethics codes typically caution therapists from giving or receiving gifts within a therapy relationship. For example, the American Counseling Association Code of Ethics (2014) advises counselors to consider the therapeutic relationship, monetary value of gifts, and the motivation for accepting or declining gifts from people they serve, and the American Psychological Association Code of Ethics (2010) requires that psychologists avoid personal and financial situations that could create a conflict of interest. Such standards are meant to protect people in therapy from exploitative or manipulative therapy tactics and relationships. These standards are also meant to protect therapists. For example, if a therapist was presented with a gift of value, they may feel pressured to give preferential treatment or refrain from challenging the gift giver. Exchanging gifts may also suggest or invite a change in the nature of the therapeutic relationship—from a professional relationship to a relationship that is too casual, too friendly, or potentially provocative. Where some mental health professionals might draw a hard line on gifting in either direction, others may see a sliver of gray area. While there are possible pitfalls and ethical complications to consider, there are also ways in which gifts might legitimately be argued to be potentially helpful and culturally appropriate. For example, if a child draws their therapist a picture, it may be hurtful to the child if the therapist rejects the drawing. Another example: After visiting their homeland, an individual brings their therapist a small gift of tea from their country. It might be unnecessarily complicated to explain why accepting the gift is a bad idea, particularly if giving gifts is a meaningful part of that person’s culture and rejecting it would be counterproductive to therapy goals. Any licensed mental health professional should be keenly aware of potential ethical entanglements involved in gifting, and it is up to the therapist to determine whether gifting a person in therapy may risk or promote therapeutic growth. Where there is doubt, caution is always the wisest path. It might also be argued that there are benefits of therapists providing some people, in some circumstances, with certain types of small, symbolic, therapeutic gifts. Such therapeutic gifts might be intended to represent growth and provide ongoing motivation. At the completion of therapy, a small memento may go a long way in maintaining positive change, or serve as a reminder to reach out for help in the future. Additionally, some individuals may have difficulty affording the therapeutic tools, such as journals or books, that are sometimes recommended or assigned as therapy “homework.” In these cases, within reason, a therapist might decide that gifting the individual with a homework tool is justified and appropriate. Of course, some therapists might reasonably feel uncomfortable providing even therapeutic tools, no matter the circumstances. It’s a position few could fault them for. When therapists do choose to provide people in or completing therapy with these types of small gifts, they must consider the potential ethical issues. Therapists should never give gifts that impede the therapy relationship or promote a harmful or unsafe environment, and must be mindful of issues associated with power and control. Below are some examples of free or low-value gifts and tools that therapists, in an informal survey, reported having given to people they worked with in the therapy room. The reasons the gifts were deemed to be therapeutically beneficial are also summarized. The general theme was this: in each case, the gift complemented the therapeutic relationship and the journey of the person in therapy. Cards. At the end of therapy, some therapists may provide a card highlighting therapy progress and reminding people of the changes they have made. During a termination session, sharing with a person the changes their therapist sees in them may be considered a special and caring way to end the relationship. Stones. Some therapists may keep small stones in their office. Stones may be representative of strength, resilience, hardiness, or other qualities. Stones that have flaws may be seen as beautifully imperfect. Allowing people to choose a stone may serve as a symbolic reminder of the person’s strength and imperfect beauty. Mandalas. These spiritual or ritual symbols in traditional Indian culture represent wholeness and one’s relationship with the universe. The therapeutic benefits of coloring mandalas may include expanding creativity, building spiritual connection, and enhancing relaxation. Journals. 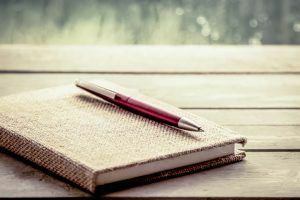 Therapists may request that people maintain a journal while in therapy. Journaling can help to organize thoughts, decrease anxiety, and serve as a means for tracking change. Some therapists may provide a simple journal or use time in therapy to create a journal. Books. Self-help books can be used separately from therapy or in conjunction with what is being explored in therapy. Therapists may provide a person with a book that is already in their office, one they believe the person would benefit from. Or, as routine practice, therapists may supply books associated with the specific form of therapy being used. Metaphors, quotes, or poems. Metaphors or inspirational quotes and poems can be symbolic of the unique qualities or strengths people possess. Candles. Candles can inspire relaxation, meditation, and focus. Use of a candle can help people reproduce a space of awareness and insightfulness outside of therapy. Music or meditation. Playing a song in session or giving a person a meditation recording may be a special way to acknowledge and maintain clinical progress. Ultimately, the decision whether to give or accept a gift rests with the individuals involved. Some therapists might not want any part of gifting, while others might leave room for unusual considerations. Under no circumstances should a gift be expected or rewarded. Any licensed mental health professional should be keenly aware of potential ethical entanglements involved in gifting, and it is up to the therapist to determine whether gifting a person in therapy may risk or promote therapeutic growth. Where there is doubt, caution is always the wisest path. American Counseling Association. (2014). Code of ethics. Washington, DC: Author. American Psychological Association. (2010). Ethical principles of psychologists and code of c Washington, DC: Author.